I was invited by Supercuts to attend their #SquadGoals event in St Rollox, Glasgow on Thursday night. Given how obsessed I am with my hair, I jumped at the chance! Supercuts salons are springing up everywhere, with over 180 salons located all over the UK – and with their walk-in service and affordable prices, they’re extremely popular. 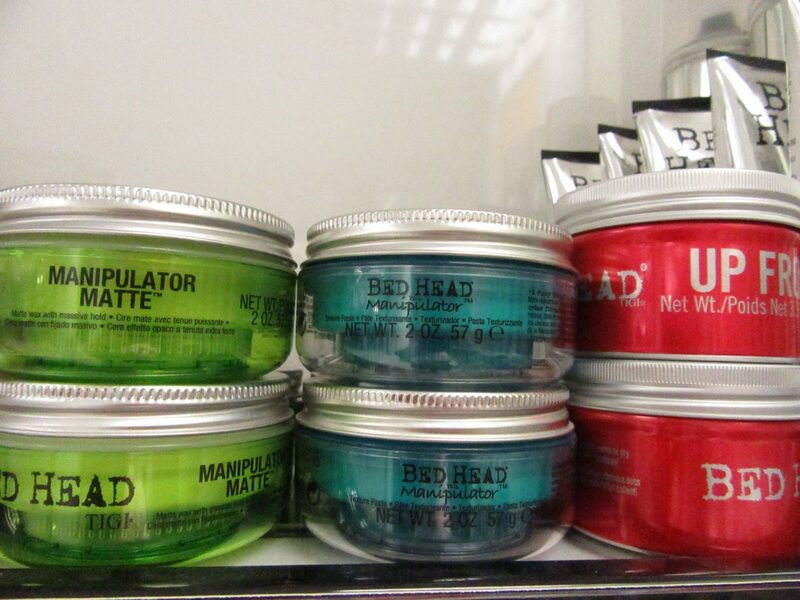 Not only do they offer haircuts from only £14.95, but they also provide a variety of colour services too! Some salons even offer other beauty treatments – the St Rollox branch has a well-stocked nail bar for the perfect pamper package. 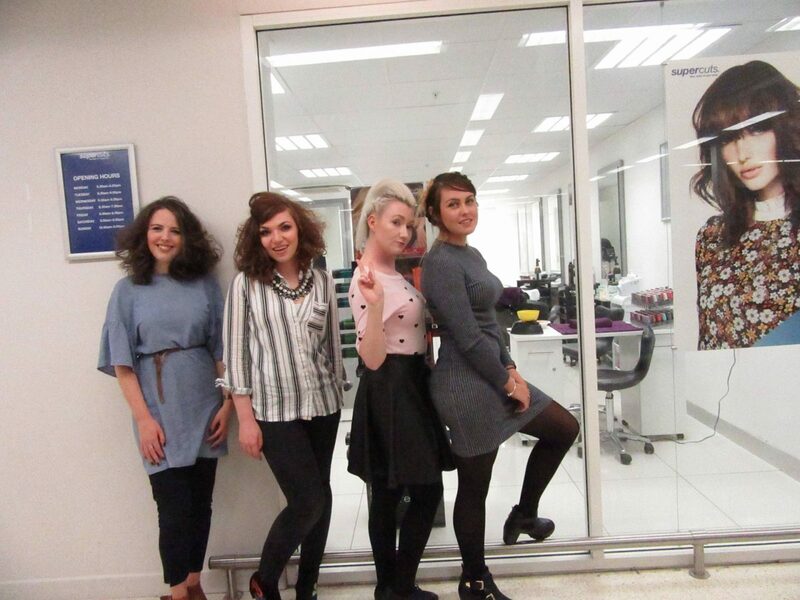 During the evening, 3 other bloggers and I were treated to manicures as well as having our hair styled. I was super excited, as I’ve never had my nails done before – I’m such a n00b! Resident beautician Rebecca was absolutely lovely and she made it all look so easy – and she has the most impressive collection of shades I’ve ever seen. I opted for a gorgeous lilac shade from OPI with a sprinkle of glitter as a accent; the gel finish gives such a glossy shine, and we all know I love a bit of glitter! After having my nails done, Janice and Kirsty styled my hair for me. I love experimenting with unusual, edgy styles; especially now that my hair is a little longer. The girls certainly obliged! They gave me the most incredible quiff with French braiding down either side to give a more punk vibe – I felt like a model straight off the catwalk! Normally when I style my hair, it starts to lose its volume after a short period of time because it’s so fine; but with the girls’ talent, it literally didn’t budge until I washed my hair the next day. I’ll definitely be back before my next big night out! 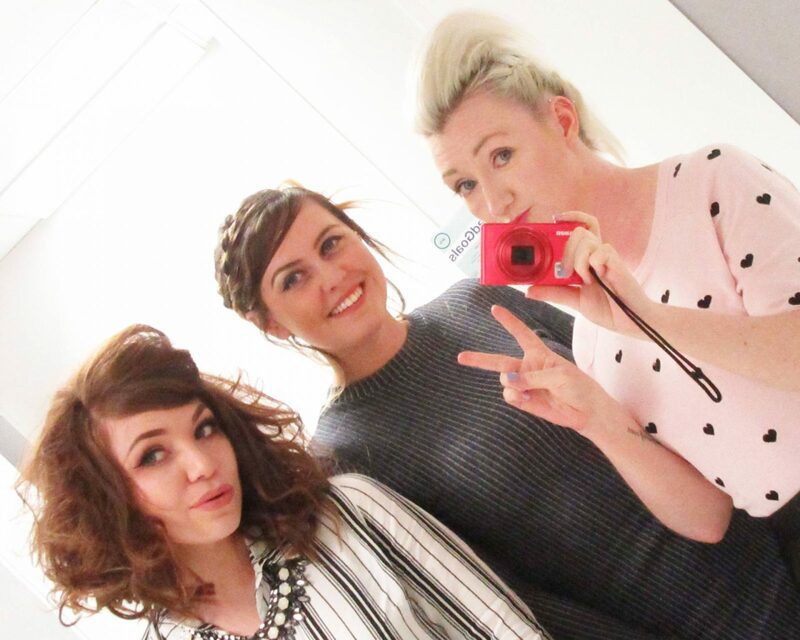 Fionn and Kirsten received gorgeous, bouncy blow drys that looked amazing – I wish my hair had that much volume! Charlene had the cutest braided up-do – and it looked even better with her ombré! 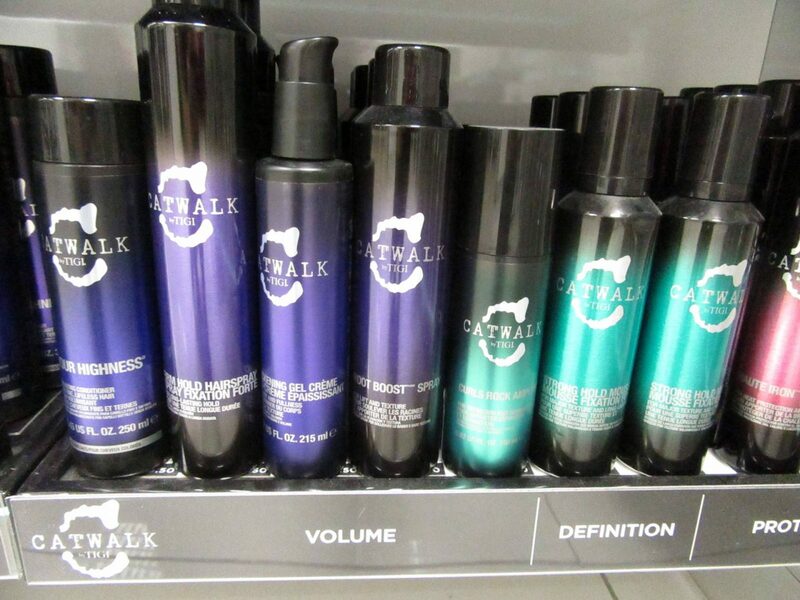 Whenever I visit a salon, I love having a look at their shelves to see what products they stock – if hair stylists use a product, it’s safe to say it’s good quality! 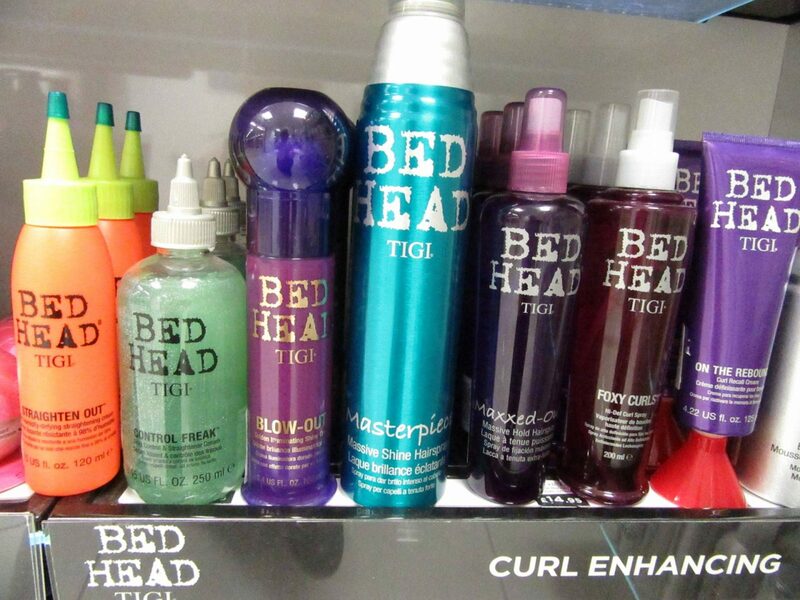 The Supercuts shelves were crammed with TIGI products, from shampoos and conditioners for every hair type to styling waxes and gels. 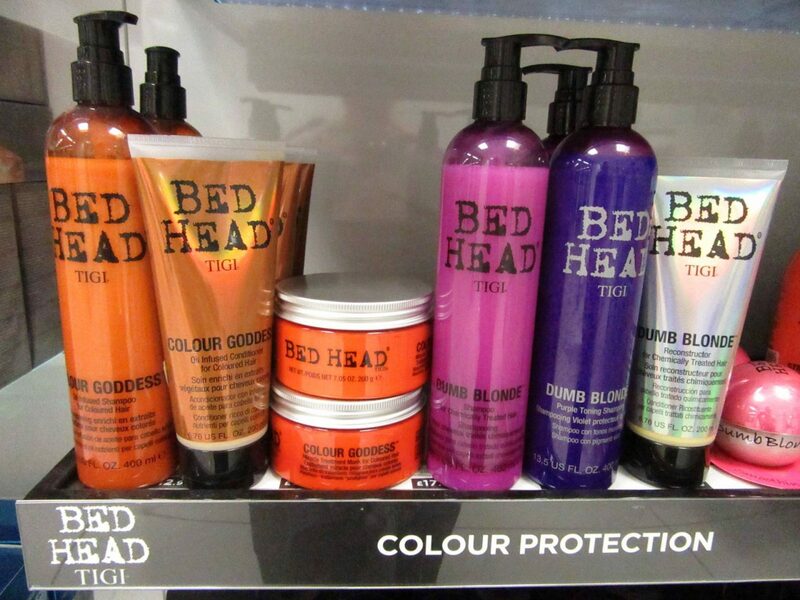 These are just some of the products that you can pick up in store – or if you want to browse before you visit, check out supercuts.co.uk/shop – and you even get free delivery if you spend over £20 online! Thank you so much to Supercuts for organising the event, making us feel so welcome and helping us look like a million dollars! Make sure you check out their website to find your nearest branch – and submit your #SquadGoals competition entry before the end of September! "A Trip to the University of the West of Scotland"
"8 Simple Ways to Get Organised"